Forget Renting the Runway...now you can buy the runway. On my way to a shopping date yesterday, I decided to stop by the Rent the Runway warehouse outlet in Secaucus, NJ. And now is when I admit that I've been holding out on you. I've known about it for a while but I've been keeping this little known gem to myself. When I arrived, it was busier than usual - turns out they have 40% off the entire store this weekend only!!! Bottom line, I stood up my shopping date. The Rent the Runway outlet is only open Thursday thru Sunday and is chock full of gently worn goods for a fraction of retail. Some pieces are better priced than others. When I found out they had an additional discount it was a game changer. Even at their NYC sample sale discounts max out at 50% off. This is the first time they are offering 40% off at the outlet - Black Friday was only 30% off! Trust me, this is a much better deal than the sample sale because they have a parking lot, tons of attendants to assist you and a very comfortable changing room. As busy as it was, it wasn't as overwhelming as the NYC sale. Not to mention, no tax on clothing in NJ! As always, I was greeted by racks and racks of gorgeous dresses and gowns. 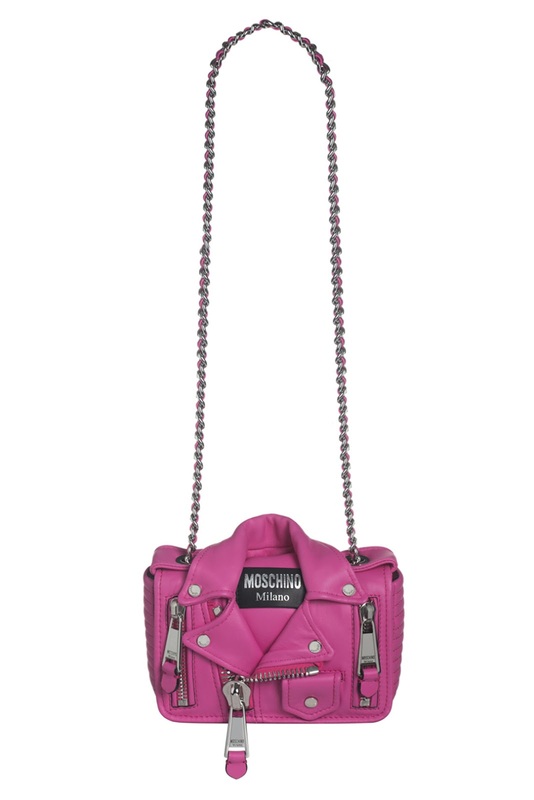 I looked across the room and spotted this Moschino Barbarella bag that was marked $369 plus 40% off. Then I got a closer look and it was filthy. There were peanuts jammed inside and gum on the outside. I asked about further discounts and they said unless it's severe, all items are as-is. We all kinda agreed it was pretty bad but the only person who could approve the additional discount was temporarily out. They put it on hold for me until they could check. I'm a sucker for a leather jacket - scoop up this $1390 size petite Helmut Lang one for $218 less 40%. I also noticed some cropped short sleeve Moschino leather jackets and Red Valentino leather dresses - all really well priced. 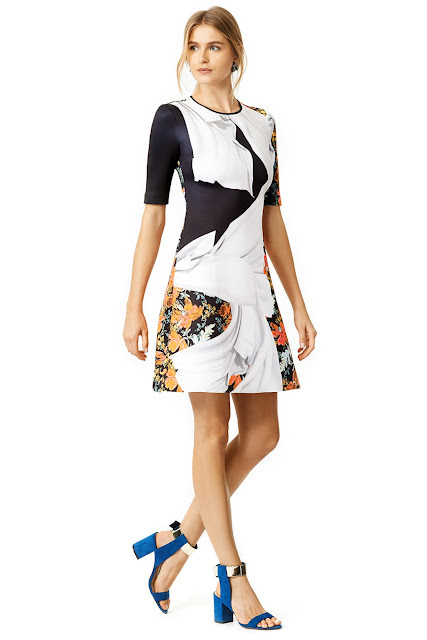 I overheard a woman purchasing this Erin by Erin Fetherston Garden Dress (they have several) - she took it just in case she had a fundraiser in a garden LOL. For $44 less 40% (was $325) it's easy to dream up scenarios for these gorgeous inexpensive dresses. They had racks of Herve Leger dresses and some for under $200 before discounts! They are all a little stretched out so I would recommend sizing down. How beautiful is this $1690 Volcanic Explosion Sheath? Now $226 less 40%! For some reason Clover Canyon is sooo cheap there. Maybe because it doesn't launder well but I can handle a few imperfections for these prices. Can you believe this $270 Indigo Dream dress is $18.60 after discount??? I grabbed one for me and and extra in XS. 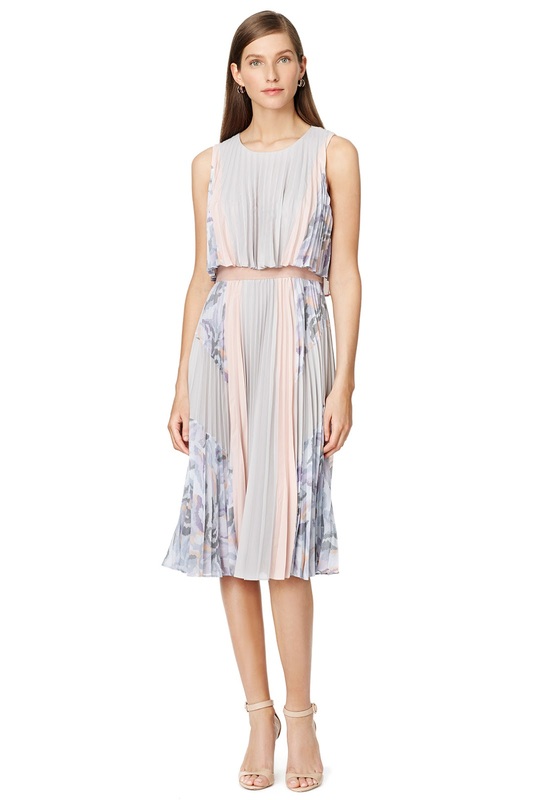 I also took home this Clover Canyon $335 Lady Wilde dress for $40.20 after discount. My nieces are gonna flip when they see this $368 BCBG Ola dress that I scored for just $29.40. It's an XS so I can squeeze into it so they may have to fight me for it. Let's get back to accessories. I've been lusting after a Elizabeth & James bucket bag for a while. They had a larger one with the backpack straps but it was missing the top handle. This smaller version is complete and just $104 less 40% from $485! If I didn't already have my Charlotte Olympia lip pouch I would have needed this cute Kate Spade clutch. Was $295, now $81 less 40%. Loeffler Randall small tote was $395, now $80 less 40% - that's almost free in my book. My daughter would DIE for this Moschino backpack but how many designer bags does an 8 year old need? Retails for $780 but you can get it for $170 less 40%!!! Getting married? You need this Kate Spade Mr. and Mrs. clutch. Retails for $398 but you can take this lovely home for $83 less 40%. Has a few scratches but nothing too serious. They had bins and bins of sparkly things but this Noctune necklace really popped for me. Retails for $310 but you can grab it for $81 less 40%. Note the beads missing on the left. You really need to inspect everything you purchase. I'm a clutch girl so I almost took few of these home but I resisted temptation. They had loads of designer bags under $100! 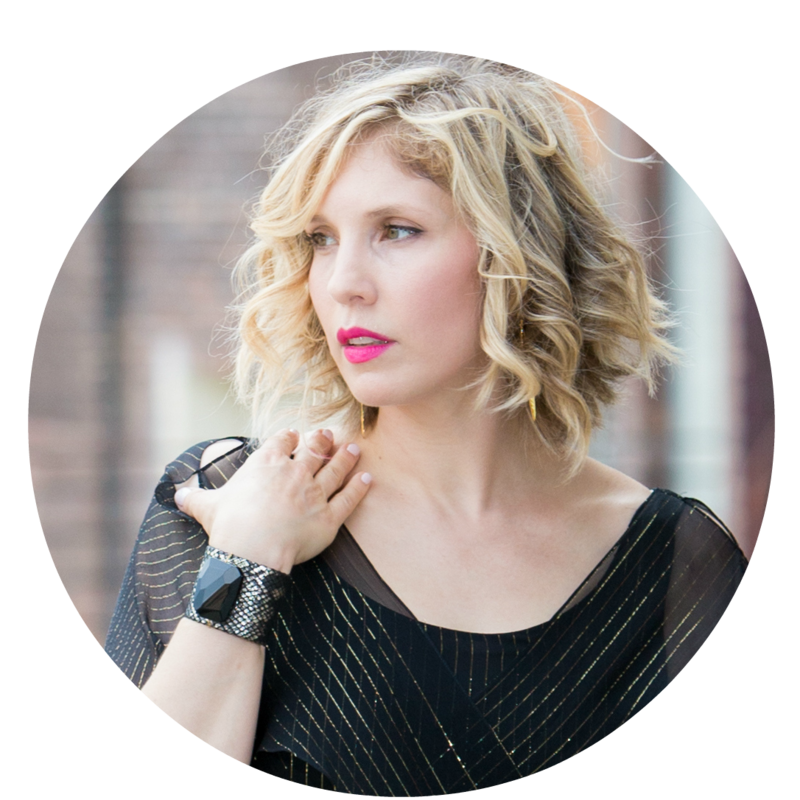 In the back, I spied a rack of $10 pieces! They all had issues but again, $10. The 40% does not apply to these items. This $395 Mark & James metallic leather Vixen dress has seen better days but for $10 who cares? I had shopped for about an hour when I got a text about a secret L.K. Bennet sample sale in NYC where everything was $5-30!!! I quickly paid for everything but the Moschino and drove right into the City. I probably should have headed home and then jumped on a bus because while it took 20 minutes to get into the City, it took about an hour to find free street parking. (You know I don't pay for parking.) It was the last day of the L.K. sale so I didn't bother taking pictures because I knew I wouldn't be able to share with you in time. Don't worry, I'll post my AMAZING haul sometime this weekend. After the sample sale I walked 30+ blocks to my car and drove back to Rent the Runway in NJ. I made it 3 minutes before they closed...and purchased my $1695 Barbarella bag for just $166.05!!!!! The good news is that if you can't make it, you can email them to check availability and they can ship to you for $9.95 (UPS Ground) for most items but it may be more for a heavier package. I do recommend going if you can as most pieces show varying degrees of wear, so you really want to see what you're getting. Time for a fashion roadtrip, ladies! Credit/Debit only, all sales final. I may be going back today - I'll see if I can resist the siren call of cheap dresses. Have a great weekend and happy shopping! STOP. I want ALL the Clover Canyons! And I'm a total sucker for all things Helmut Lang. And I want some Herve Leger pieces! Ahh, why don't I live where you live?! if you go back, will you keep your eyes out for size M/L pieces for a future blog sale? ;) I can't resist $50 or less Clover Canyon and $100 or less Herve Leger! Rent's sample sale goes 40% off, then 50%, then 75% as the days progress. You'll get top pickings by visiting the store, but Rent has gone lower in price. They used to slash prices at the end but the last sale I went to (2 sales ago, I believe) they maxed out at 50%. I think that since they opened the outlet they don't need to push things out at the end. love love love it all. totally random question from a germaphobe lol. when u get the amazing but a little beat up pink bag or even thrift shop shoes, how do you clean and do you have places for shoe/bag makeovers that you reco in nj or nyc? thank you!!!! Thanks. You'd be surprised what you can do with a little Lysol and Febreze. I wash or dry clean most things but I spray and wipe down everything else. I'm a DIY kinda girl so I take care of it myself :) Feel free to ask any specific questions! Wow, this is a must for me tomorrow, hopefully they still have some Kate Spade items left. They had plenty yesterday. Good luck! I am so jealous. I want that KS winky clutch! And I want leather! And pretty dresses! Lol! How do you find about those extra sales like these?? Awesome! I love this post. Its so fun seeing the prices. How do you find out about these sales? That's an interesting place to check out!